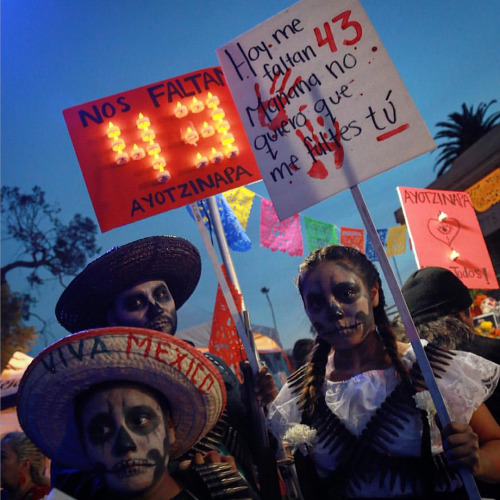 On 26 October, the 13-month anniversary of the forcible disappearance of the 43 student-teachers from Ayotzinapa, parents of the disappeared marched in Mexico City from the Angel of Independence to the Benito Juárez monument to demand the return of their sons. Among others, students from different Rural Teachers’ Colleges, teachers from the National Coordination of Educational Workers (CNTE), public-school university students, and other representatives from civil society participated in the action. Protestors demanded that the government observe the recommendations made by the Group of Experts from the Inter-American Commission on Human Rights (IACHR) that has requested new investigations. 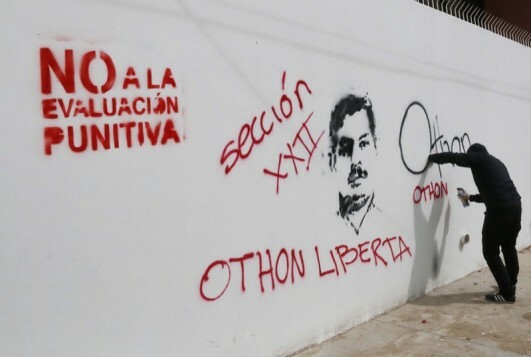 On the ninth anniversary of the attempt to displace the teachers’ sit-in at the zócalo in Oaxaca de Juárez in 2006, on 14 June there was held a public session at the Oaxaca Truth Commission (CVO). 14 witnesses presented testimony, while members of the CVO, including its president Alejandro Solalinde, as well as the journalist Carmen Aristegui and the Mexican representative of the UN High Commissioner for Human Rights, Javier Hernández Valencia, were also present. The CVO is an autonomous organization that seeks to clarify the repressive historical events that took place in Oaxaca between 14 June 2006 and 30 May 2007, the time period covering the displacement of the teachers from Section 22 of the National Coordination of Educational Workers (CNTE) from the sit-in they had undertaken to demand better working and educational conditions. 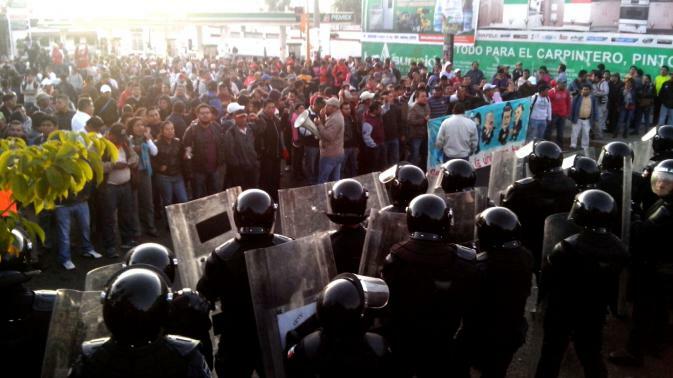 This police operation was ordered by the then governor, Ulises Ruiz Ortiz, and gave rise to the creation of the Popular Assembly of the Peoples of Oaxaca (APPO), a social movement that opposed the PRI-led government. According to an advance copy of the CVO’s report, there were at least 500 cases of torture and 26 executions of social activists and those connected to the struggle. The public session gave voice to the testimony of women who lost their husbands, families that continue to seek out their disappeared, and political prisoners. According to Solalinde, the gravity of the acts is reflected well in the various testimonies that were presented, even if many other victims did not share their experiences out of fear. 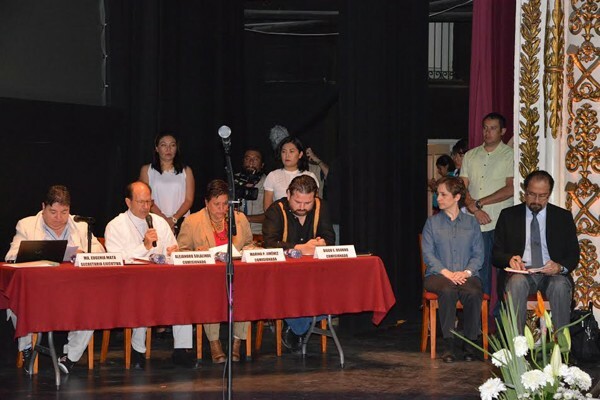 The public audience, which Javier Hernández Valencia understood as “a first step toward justice,” affirmed words such as those of Carmen Aristegui: “What should happen in the near future must incorporate the truth and memory, but above all justice, as Oaxacan society has sought out now for nearly a decade.” The CVO will put together a final report, to be presented before the judiciary in March 2016. The aim is to pressure authorities to put an end to the impunity of the acts, which represent crimes against humanity, in the view of Solalinde and his lawyer and assessor, Cuauhtémoc Ruiz. 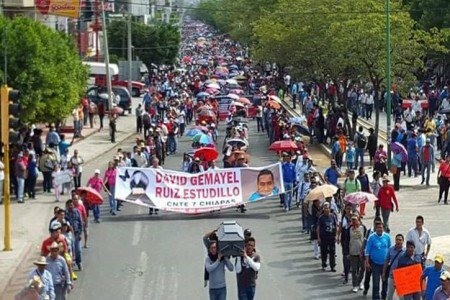 On the same day of the public audience, a march organized by the CNTE took place, with the participation of 10,000 people. Protestors sought to commemorate the attempted displacement of 2006 and repeated their call for justice, the cancellation of articles 3 and 73 of the Constitution, and the cancellation of the educational reforms. They also protested in favor of boycotting the assessment exams for teachers that have been announced by the Secretary for Public Education (SEP).